What's The Oldest Building In Lambeth? M@ What's The Oldest Building In Lambeth? Series exploring the most venerable buildings in each London borough. See also: Camden, Islington, Southwark. Lambeth — named by the Anglo-Saxons as a river-landing place for lambs — has some truly ancient pockets. Indeed, the oldest structure in London falls within its borders. In 2011, 6,000-year old timber piles were discovered on the foreshore at Vauxhall. But what is the borough's oldest structurally complete building? Believe it or not, it's a museum. The tower is 14th century, the nave is Victorian. Image Shutterstock. If you've ever set foot inside the Garden Museum, then you've also experienced Lambeth's oldest building. 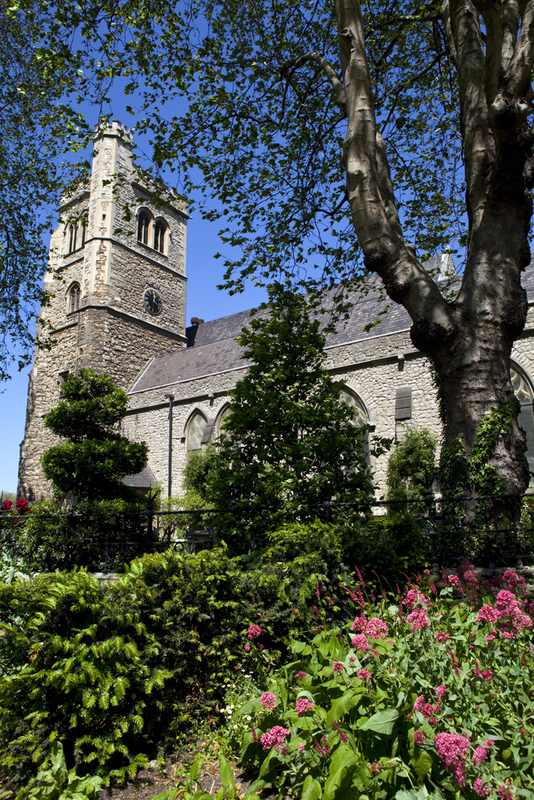 The museum is housed within the church of St Mary-at-Lambeth, which is an architectural mix of medieval and Victorian stonework. The tower is the ancient part. It was constructed in 1377, making it an exceptional survival for central-ish London. Even then, it was built on venerable religious land. The earliest church known on the site was built by a lady named Goda (Edward the Confessor's sister) in 1062. Still earlier, a king of England drank himself to death hereabouts (or was he poisoned?). Incredibly, the tower was almost demolished in the 1970s. We can thank Rosemary Nicholson, founder of the Garden Museum, for its salvation. Lambeth Palace, somewhat overexposed in this Shutterstock image. St Mary's stands beside another ancient building that has a debatable shout as Lambeth's oldest. 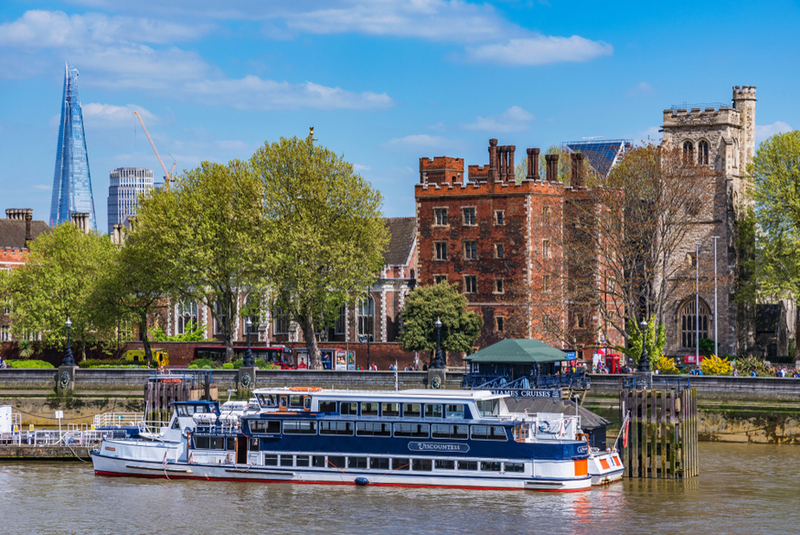 Lambeth Palace has served as the London residence of the Archbishop of Canterbury for some 800 years. Much of its fabric is Tudor or more recent, but some sections claim greater antiquity. The undercroft is undoubtedly the most senior space. It is thought to date from 1220, predating St Mary's by 150 years. Whether a subterranean room within a wider complex counts as a building, however, is open to debate. The oldest structure above ground is the Lollards Tower, from around 1440. What's The Oldest Building In Islington? What's The Oldest Building In Camden? What's The Oldest Building In Southwark?